We offer an exceptional range of Aluminium Windows for domestic or commercial properties in Stamford. By choosing aluminium windows for your home will no doubt provide many advantages over traditional window profiles. Replacing your existing windows with aluminium will bring you many recompenses, as they will make your home more eco-friendly, saving you money on your heating bills, not forgetting making your Stamford home looking beautiful as well. Aluminium windows have now become extremely popular throughout Stamford area, over the last decade. For many years there was a perception that aluminium were manufactured in silver frames only, with hardwood frames for commercial premises. However, over the last decade there has been huge advances in aluminium window technology. The aluminium industry has significantly moved forward ensuring that there is voluminous advantages with aluminium windows over uPVC windows. The manufacturing of our aluminium warrants the unsurpassed systems, fabricating flexibility and style to all of our windows. Modern homes have changed significantly, with beautiful architecture dictating that uPVC profiles are sometimes a little bulky and awkward for contemporary projects. Aluminium windows offer the perfect slim profile which maximises the overall view providing the unadulterated panoramic view. Aluminium ultra slim sight lines not only offer that beautiful view, but offer greater flexibility for the different types of windows frames available. Due to the robustness in aluminium, this allows the windows to be produced around the slimmest of framework required. When a customer is trying to decide between uPVC and aluminium windows for their Stamford home, the winning factors will always be their durability and lifespan, not forgetting value for money. 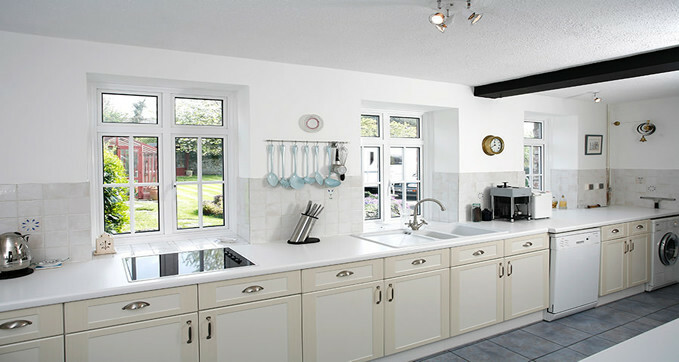 UPVC windows typically known as PVCu, has an estimated life span of between 15 to 20 years. However, by choosing a poor manufacturer, these uPVC windows could quite easily start looking tired, after just four to five years. 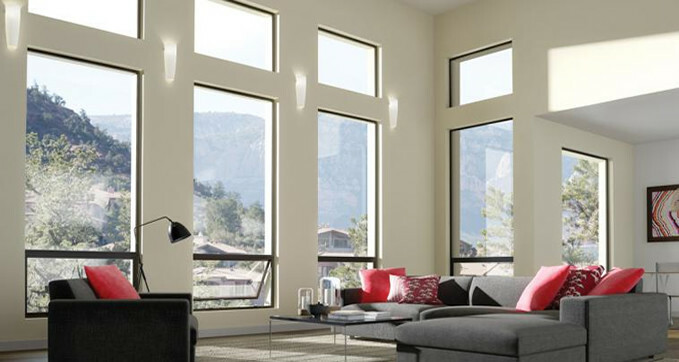 However, aluminium windows has an amazing life span of at least 20 to 30 years. The reason why aluminium life span is so long, is due to is resistance to the outside elements. Aluminium is extremely robust, making it less expected to warp or rot, or even dent due to its astonishing strength to weight ratio. Aluminium windows and doors have always been understood as the best suited material for light to heavy commercial buildings such as flats, schools and government buildings. However, with their stunning looks, also the ability for the frames to be virtually any colour inside or out, not forgetting its incredibly low maintenance, makes it the number one choice for any Stamford home too. With new aluminium technologies and sophisticated window efficient expertise, this has taking the aluminium glazing to a whole new level. Home owners and commercial building can now benefit from these astounding energy efficient windows to keep their energy bills to a low. Did you know that aluminium windows can easily achieve as much as 60 % improvement on heat gain and heat loss via the windows? Combining with a thermal break, these aluminium windows can easily match any of its rival timber or uPVC parallels. Aluminium is an extremely economical material. It is also 100% recyclable too, not forgetting non-toxic, generating a minimum carbon footprint. It only requires as little as 5% of its preliminary energy used when it was originally created to be recycled, which is very impressive. We offer an entire range of bespoke designs for aluminium windows and doors. Aluminium is the ideal material when looking for a combination of strength and durability, offer flexibility when choosing very large windows which are taller than 3 meters in height. Aluminium has also a much longer shelf life than uPVC and maximises the amount of natural light into any building or home.